As we near the close of another year, all businesses are looking forward to what 2019 will bring. New opportunities, new challenges and, no doubt, huge change are all on the horizon – but what does the future hold for the eCommerce industry? 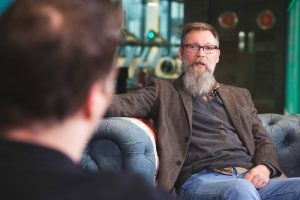 In a recent UKFast webinar, our Managing Director of Enterprise Jonathan Bowers was joined by a panel of eCommerce specialists to discuss their predictions for online retailers in 2019. What are the trends that will dominate 2019? Speed is continuing to dominate eCommerce, and frameworks like Progressive Web Apps (PWAs) are going to be a massive part of keeping up with consumer expectations. The age of the normal app for online stores may be coming to an end. According to Gareth, PWAs are condensed file versions of your website that allow for an immersive customer experience that is fast and reliable. From a consumer perspective, PWAs take up less space in your mobile storage compared with a normal app, and as a business owner they help to boost your organic rankings on Google. While some larger enterprises have been jumping on the PWA bandwagon in 2018, Gareth says it’s essential for SMEs to get involved too if they want to stay competitive. Subscription-based models, specifically for eCommerce businesses, are a trend we will see boom in 2019. Jonathan thinks that subscription models are really coming into their own. Many cosmetic and food delivery businesses already use this method, where customers can pay for regular deliveries of ‘goodie boxes’, snack boxes and recipe kits for a set number of months. As data continues to take over the world, automation and every iteration of this technology is quickly advancing to help us collect and process it. Global technology research firm ISG has found that 75% of businesses plan on using automation to deliver critical products and services in the near future, which isn’t surprising when you consider the improved efficiency, speed and productivity provided through automation. Gareth said: “The consumer is expecting more, and more quickly, and as retailers we need to meet these expectations. We can only do this through improving the way we process and react to our consumers’ data, and automation is significant in doing so. If you’re not convinced that automation can make a huge difference to your business, why not check out the top tips to getting started with automation here? Not strictly online, but not strictly offline either, AR bridges that gap between the two shopping modes. Creating these kind of omni-channel experiences is not a new concept, but something that that Simon thinks will change for the better in 2019 and bring a new lease of life to our highstreets. Well, there you have it, your 2019 predictions straight from the experts! To hear more ideas and thoughts about where the eCommerce industry is heading, listen to the webinar on demand now. Gain more expert insight into the eCommerce trends of 2019. Watch the FREE webinar on demand now.